That picture of the 'exploded backpack' has been widely disseminated on MSM as being an official photo of the exploded backpack from the FBI. I couldn't find it on their website. It looks more like the craft/cst guys bag. Is he definitely leaving the scene without his backpack? If so, jumping to conclusions wont help. If there was a drill, many people could have been given orders to place backpacks in various locations. They wouldn't necessarily know what was in them. Including the brothers. Those craft/cst guys are shocked when the bomb goes off. People with experience of explosives might be able to tell us more about what should be left of that bag (if that is indeed being claimed to be the bag). They should be able to tell us more about what is being claimed about the device. Do the claimed locations of the device match the footage? Apologies for all the questions but I think they need asking so we can clear some things up. It might help us concentrate on clear inconsistencies and straight out lies about this very strange event. One more. I hear people claiming numerous witnesses to the drill announcements but I still only see one. Ali Stephenson. If there are more we need to hear them and collate them. It is proof that the authorities were lying from the start. But one guy doesn't seem enough. It's probably counter-productive. No, the claimed locations do not match the footage. On the ITV special the other night they claimed as proof a still of 'the backpack' which had been placed just behind the railings. The bomb clearly exploded at least 3-5 yards BEHIND the railings. Proving, if nothing else, that the director of the 'documentary special' is an idiot. BRILLIANT article just published illustrating blatant mainstream media lies. In this case The so called Guardian. Yet another example of the appalling standards of modern journalism from the Guardian, with journalists not thinking about what they write, and of the fakery of the industry of “analysts” that leech off the “War on Terror”. Really? 30,000 attacks analysed, including researching the internet traffic of the perpetrators and their public statements? That is rather a lot of work. Firstly you have to identify the attack and identify the perpetrator. Then you have to access their internet use and go through it looking for relevant reading, comments or relevant messages. Let us presume you have such good access to the security services that they do all of that for you, and serve up the results to you on a plate, and that you trust their diligence, honesty and analytical ability sufficiently to work just from what you were given. If you were being served up ready to analyse dossiers of relevant internet traffic of perpetrators of attacks, how many such dossiers could you in any meaningful way analyse in a working day to form a view on the individual? Perhaps four? Now let us presume four weeks holiday a year and five working days a week. It would take you 33 years of solid work, doing nothing else in your professional life, to analyse thirty thousand cases. That is to make the startling assumption that there is meaningful material on as many as thirty thousand cases to analyse, and you have access to it. 30,000 attacks analysed? bs. Pure bs. To compound which the Guardian also brings us that silk suited leech on public funds, Ed Husain of the discredited Quilliam Foundation. What passes for mainstream media analysis on security issues is risible. Senior Product Manager @BostonGlobe. Working on new mobile stuff. Formerly: Digital Media Fellow @Poynter Institute. I really dont like relaying this 'crisis actors' malarkey to anyone really but I'm sure some of you must've come across some of it by now. I'm perturbed as to what has happened to the mans clothing in the linked picture. Boston Suspect Arrested Stripped Naked so WHEN was he shot and killed? Reports purporting to describe what Dzhokhar Tsarnaev told US interrogators should, for several reasons, be taken with a huge grain of salt. It's ridiculous to call the bombs that went off in Boston "weapons of mass destruction." A. One brother, in the video is told to come out of the car and strip naked. B. He is taken into custody naked and arrested. C. Next, we hear of a shoot out and that he is shot dead. We have A and B on the video – so by what credible process can we ever arrive at “C”? A. There are two(2) brothers – and these have been the focal point of attention as the mass media has been reminding us ever since the Boston bombing. C. That leaves one (1) brother we know to have been shot ( under what circumstances we have yet to ascertain – but he is shot and is in a serious condition). So, we can all reason that what we saw on the video footage was footage of the one that was killed – not the one shot and placed in a serious condition. Surely, if a man is already in custody and alive – then when he is shot – under what circumstances can such a shooting and killing of a man who already had stripped naked be justified homicide? 1. The person being arrested in the video does look like Tamerlan Tsarnaev. 2. If the arrest was related to a different and unconnected incident – then that “different incident” would still have coincided with the very period of the bombing, and since Tamerlan Tsarnaev was a suspect, it would be an odd arrest that would have arrested Tamerlan Tsarnaev then but not pertaining to the bombing but another incident. 3. Surely, the journalist is clearly there in the video speaking directly to his eye witness account of events that pertain directly to the post-bombing search for suspects. 4. The video appeared on CNN and seems to be projecting to the public the arrest of Tamerlan Tsarnaev. The retraction would be consistent with an attempt to find a new narrative once independent observers started posting youtube videos that either directly challenged and/or questioned the official mainstream media’s version. Where is the solid case so far built out of the public information that has been disseminated about the brothers? 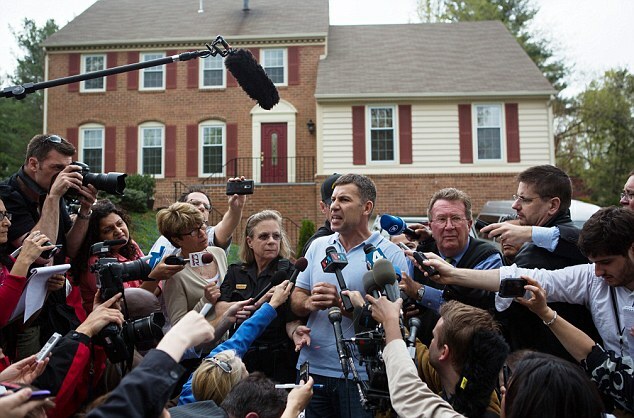 Is there an alternate credible narrative about the Boston bombings? Can a government, willfully lie, fabricate evidence, and stage a “false flag” event? The foregoing declassified document just about says it all, if proof is required of the capacity of government to deceive the citizenry. An entire nation was duped by the WMD line sold, before no less an august body, than the United Nations. Fabrications, lies, deceptions and statecraft manipulation at the highest levels was the order of the day – ably assisted by Colin Powell and others at the highest levels of the United States government. Those are concrete facts about events that recently took place, which led to the illegal invasion of Iraq, followed by a million plus Iraqis dead in consequence ( and still counting) and several Americans dead and maimed – in the service of what – an oil war? Hans Blix, the Chief UN weapons inspector’s book* on this whole, sad and bloodthirsty set of events is probably the most, convincing account I have come across of how events unfolded internationally at the time. • Name of book: “Disarming Iraq”. That backdrop to say this. The misdeeds of the state and its ability to lie, concoct and cover-up is not to be doubted nor debased, by simply focusing on a view that may be posted or published which tries to make a point about the truth behind the events, but fails to do so in a reasoned, consistently logical or credible way. That fact in and of itself does not negate the need to question, analyse and then draw reasonable conclusions. The new official narrative about the Boston bombings is that the brothers were “self-radicalised”. Since they happen to be of Chechen descent and also were of the Muslim religion, this further fits into the “war on terror” narrative that Muslims are the enemy, thus justifying more over- expenditures of the military-industrial complex. So, I suspect that now the “war on terrorism” mind-set will increasingly be projected from a 9/11 original position of justifying global warfare, into a “post Boston bombing mind-set” justifying the reduction of civil liberties domestically in the US on the basis of fighting and constraining domestic terrorism. He looks like the manager of my local pub (except the guy in the pic isn't tall enough)! When was the body identified? Officials said that Boston terror suspect Dzhokhar Tsarnaev engaged in a shootout with police and then may have tried to kill himself while he was trapped in the boat, before he surrendered to police. Authorities believe Tsarnaev may have tried to shoot himself before he was taken into custody Friday night because of the trajectory and location of the bullet wound in his neck, a source familiar with the investigation said Sunday. The suspect in the Boston Marathon bombing had no firearms when he came under a barrage of police gunfire that struck the boat where he was hiding, according to multiple federal law enforcement officials. Maybe he was on campus and not running for his life because he was innocent? I found the video in the comments on the following page. odd video where it appears dust is created for a prop? 'The surviving Boston Marathon bombings suspect has been transferred to a federal medical detention facility, officials said on Friday. The US Marshals Service said Dzhokhar Tsarnaev left Beth Israel Deaconess Medical Center overnight and was taken to the Federal Medical Center Devens about 40 miles west of Boston. I next overheard the muffled voice of another woman to whom she had been speaking reply, “I think you could safely say, ‘I do know we worked with a lot of people who worked on security at the marathon...’” After that I couldn’t make out what was being said. Next I called Craft International. The company has no phone number listed on its website -- just a general email address of info@thecraft.com (to which I wrote to asking for information, but which elicited no response)--but I found one listed for their headquarters office at 2101 Cedar Springs Rd., Suite 1400, Dallas, TX, in a listing on the company published in a directory in Bloomberg Businessweek, This entry noted that the company, in addition to “providing security, defense, and combat weapons training services for military, police, corporate and civilian clients in the US and internationally,” also “offers corporate and private and civilian training services...” The number, published in a business magazine, was clearly meant as a contact for potential customers to call. As things stand, since it's highly unlikely that Craft International, a private for-profit enterprise founded by the late ace Navy Seal sniper Chris Kyle, would have "hired" itself to police the Marathon gratis, it seems pretty clear that we had rent-a-special forces-soldier people, hired by some agency, at the scene of the bombing ahead of the bombing. * If it was the Boston Police or the FBI that hired them, why won’t they just say so? Simply hiring outside security help should not be a secret, and could in no way affect the investigation into the bombing and the captured suspect, Dzhokhar Tsarnaev, so why the secrecy about that? Given all the police presence, and the size of the FBI's Boston division, why did they need those extra guys from a private rent-a-soldier firm? 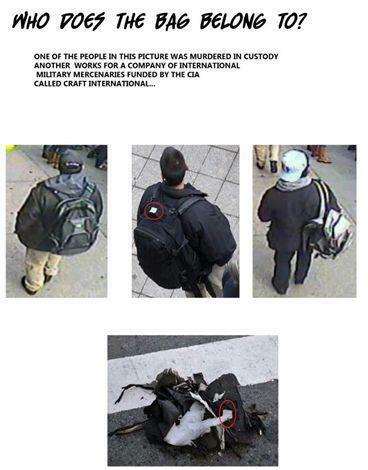 There does not appear to be any such white marking -- square or otherwise -- on the top of the black backpack worn by Tarmelan Tsarnaev, as observed in several security photos taken of him (Dzhokhar Tsarnaev was shown carrying a smaller white or light-colored pack, slung over one shoulder). I am not drawing any conclusions from any of this, but I will say that when government agencies at all levels and a private contracting firm are all this obtuse and secretive (and in some cases even deceptive) about what should be a simple question -- who hired these men? -- my suspicions are aroused. And by the way, why aren't the mainstream media asking about this? Are corporate media journalists so intimidated about being labeled “conspiracy nuts” that they can't do their jobs? At a minimum, this goes to the question of accountability. It also goes to the question of inter-agency communication or lack of it. And given what we know about how many times the FBI has been an active encourager and enabler of terror plots which it later thwarts and claims credit for preventing, there’s the question, too of potential official culpability. Furthermore, when an horrific incident like this is used to justify such new threats to our Constitutional freedom as an unprecedented martial law-style lockdown of an entire 1-million-person metropolitan area and a precedent-setting deliberately Miranda-free, attorney-free interrogation of a hospitalized, gravely wounded and sedated suspect, it is critical that the whole story be told, not just the official one. Uncle Ruslan 'of the CIA'. Was Boston Bombers 'Uncle Ruslan' with the CIA? Obama's mother also worked for USAID, while being in the CIA, reportedly. School in 1998 and is now a 'well-connected' oil executive and lawyer. relationships" allegedly used for "international corruption,"
The London Sunday Times on May 8, 2011.
villa, who used the alias "John Smith" on the resort's reservation record." disclosed the buyer was an offshore trust belonging to Timur Kulibayev..."
purchase of Prince Andrew's house. This emerged during a legal battle involving missing money. "international corruption," according to The London Telegraph. intended to disguise money laundering." which had been used as a front to obtain oil contracts from the Kazakh state." Tsarnaev was a top executive. lived in the Kyrgyz town of Tokmok, near the border with Kazakhstan. Tokmok is home to a large Chechen community. lived next door to the Tsarnaevs. Continued here: Was Boston Bombers 'Uncle Ruslan' with the CIA? Marathon. Three days later, one of them was named a prime suspect. 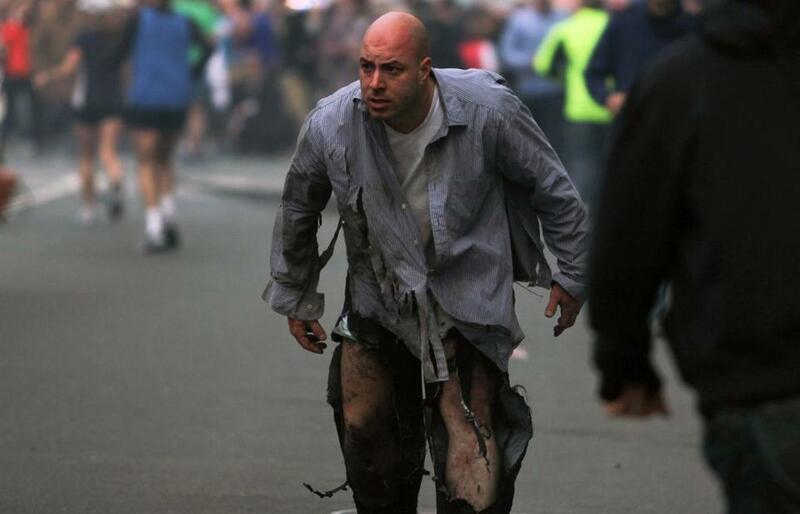 class and in the gym in the aftermath of the bombings. when the bombings came up. Odd indeed, real or just a tie in for old news new threats?? Wow! The first bit of one of the planes supposedly hijacked to be found that will be able to be linked to one of the 'NY' 'aircraft' by genuine numbers! Pretty smart that, the undercarriage conveniently 'wedging' itself between two buildings, with no one noticing it at the time, or even over twelve years! They were fiendishly clever, those Muslim 'highjackers'! I wonder how they managed to jettison the undercarriage like that? (Having seen the BBC pics, I now realise how the 'Muslim 'highjackers' managed it; they obviously lowered it by the rope, just before they 'hit' the Tower). 'New York police say what appears to be part of the landing gear of one of jets flown into the World Trade Center on 11 September 2001 has been found. 'The piece was found in a narrow, rubbish-filled space 18in (0.45m) wide. Mr Kelly told reporters after inspecting it that a length of rope was looped around the piece of steel and that no marks were visible on the walls overhead, suggesting it could have been lowered from the rooftop. BBC is more cautious than CNN! Perhaps they don't want another 'Jane Standley' moment.. The large lady with the brown hoodie also features in the 1st video. She goes towards shop right of shot and another lady runs after her and leads (pushes) her back to where they came from. I've seen her pictured standing alone outside a shop and next to the fence. Just trying to get a time reference. I'm afraid that there is something very VERY wrong with the images from this 'bomb site'. The time-lapse video is shown on this report. Funny innit how he got loads and loads and loads of publicity and the other relatives who think the boys had been 'set up' got absolutely none in the MSM? Mr Fuller was forced to explain the relationship today as news of the family link emerged online. He told Al-Monitor that his daughter, Samantha, was married to Ruslan, whose surname was then Tsarnaev, for three to four years in the 1990s. The couple divorced in 1999 more than ten years after he left the agency in 1987. 'Samantha was married to Ruslan Tsarnaev (Tsarni) for 3-4 years, and they lived in Bishkek for one year where Samantha was working for Price Waterhouse on privatization projects,' Mr Fuller said. 'They also lived in our house in [Maryland] for a year or so and they were divorced in 1999, I believe. He said his son-in-law showed no interest in the agency or politics but spoke generally about his family in Chechnya. He said any attempts to portray the relationship as a link between the security agency and the two terrorists was 'absurd'. 'Like all Chechens, Ruslan was very concerned about his native land, but I saw no particular involvement in politics,' Fuller told Al-Monitor. Fuller visited his daughter and her husband in Bishek, as a former Russian history graduate himself interested in 'Soviet minorities'. He said he may have met the terror suspects' father, Aznor, there once and his daughter knew the Tsarnaev family when Tamerlan was a toddler and before his younger brother was born. 'I for one was astonished at the events, and to find myself at two degrees of separation from them,' he added. Ruslan Tsarni, who lives in Montgomery Village, Maryland, was thrust into the spotlight as the names of his two nephews emerged in connection to the Boston terror attack. He stood on his driveway and attacked the two men calling them 'Losers'. He has since reported a rift between his family and that of his brother Aznor's and said his older nephew Tamerlan had become increasingly extreme in his religious views. He said he last spoke to him in 2009 when he declared he was dropping out of school to do 'God's business' and Tsarni was concerned at his religious fervor. He also told reporters that Tamerlan had a friend called Misha who 'brainwashed' him. 'This person just took his brain. He just brainwashed him completely,' he said. FBI agents today said they had tracked down Misha and believed he had no link to the terror attacks. 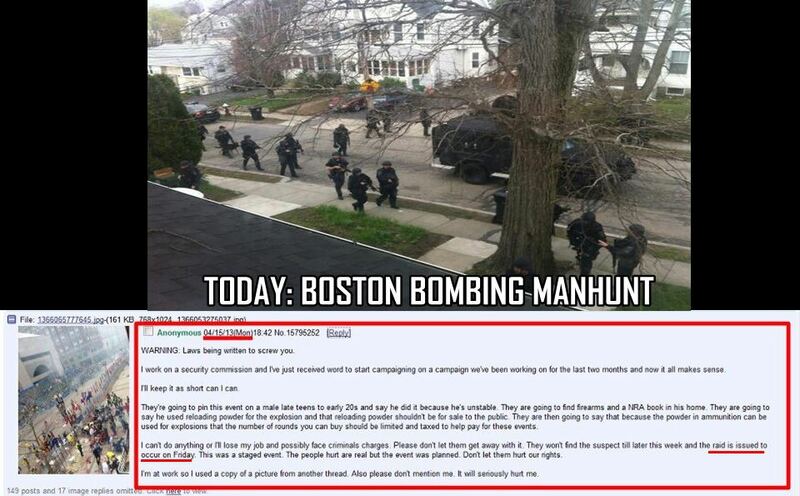 Israeli racist murder cover-up experts fly in to help FBI deal with media disaster following Boston false flag?